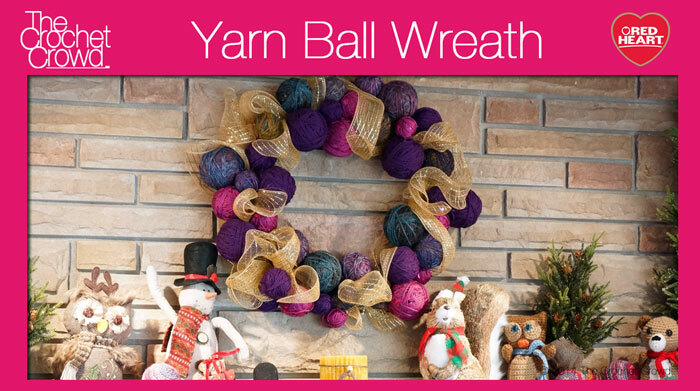 Your mission is to create a yarn ball wreath that is a minimum of 12 inches in diameter. 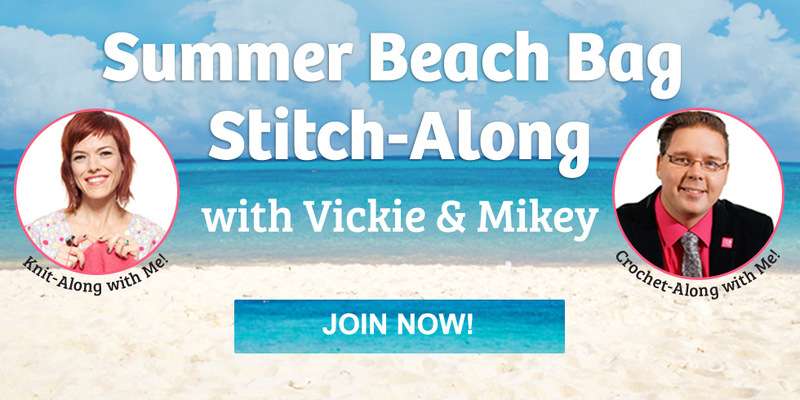 You can work on it by yourself and/or get your family or friends involved to make it a fun afternoon project. The wreath has to be homemade with a theme or thought process applied to it. Minimum of 4 Wrapped Yarn Balls attached to the wreath. EI, attaching a ball to an existing wreath doesn’t qualify. 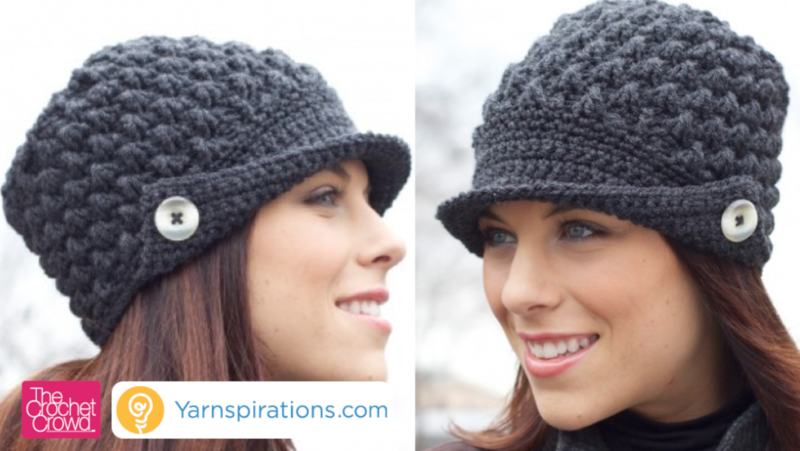 This is 100% crafting based and doesn’t require crochet skills. One lucky person at the end, will be gifted a fully loaded Red Heart Yarn Bag with Crochet Crowd Gifts. Create something unique and special that suits your own personal style. We encourage you to get your family involved to make a wreath together. 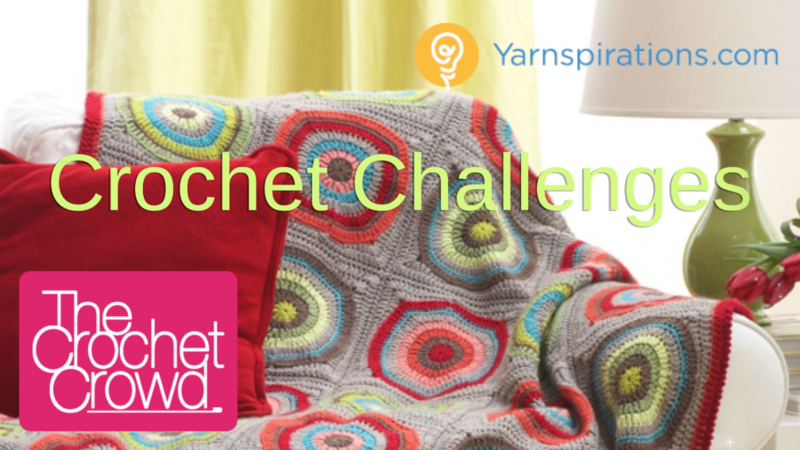 Suggested Yarn is Red Heart Super Saver but you may substitute yarn to make this project. Red Heart Super Saver is known for being stiff and sturdy. The slowly transitioning yarns such as Red Heart Boutique Treasure and Red Heart Boutique Midnight are exquisite to work on. You can accessorize the wreath and assemble the wreath in any manner. Your wreath can be any shape as long as it meets the minimum of 12″ across. Take a picture of the wreath on a door, wall or mounted in an upright position to qualify. 4 skeins of yarn of your choice. 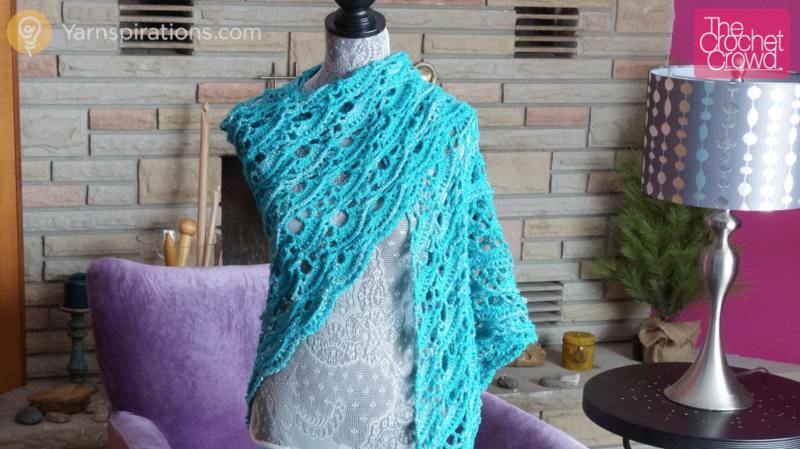 Transitional or variegated yarns make it a lot more interesting. Wire wreath frame that is a minimum of 12″. Assorted Styrofoam balls or any balls to be able to wrap yarn around. Assorted sizes make it look a lot more interesting. Ribbon or accessories to add to the wreath. I am not able to view received submissions. I want to see what others are doing. Do we have to use the particular metal wreath you used to tie the yarn ball onto? Am I able to use a polystyrene wreath? Thanks for the tutorial. I can’t wait to collect the supplies and plan my wreath. I like the tip about the dollar store Christmas ornaments – thanks! Also, I loved the painting in the background as well! I am so glad that the only rule is the size of the wreath itself. My idea in my mind looks totally different than the one you posted. Can’t wait to get started and exercise my creativity. I want to say thank you for letting me know how to make my own granular balls. You are a genius! I also want to say you have the best sense of humor! I guess I’d better go and get busy!